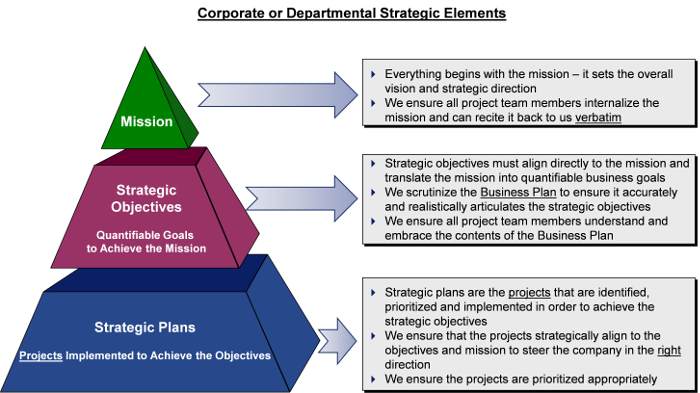 We know the importance of project alignment to business strategy. Without this alignment, projects are set up for failure from the very start. In fact, 61% of projects are not aligned to corporate strategy, as noted in the 2014 PMI Pulse of the Profession report. With this alarming statistic, it’s no wonder the project failure rates are so high. With the strategic elements fully understood and internalized, we then apply strong leadership around the ‘Pillars of Success’ in order to effectively drive transformative change. 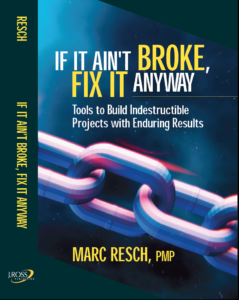 All projects and change initiatives directly impact people, processes, technology and business value. We focus on these pillars not only for effective project execution, but for establishing the future state model that the project is intending to deliver. Achieving business value is first and foremost to everything we do. We understand the importance of achieving ‘Quick Wins’ and demonstrating incremental business value from your project investments. 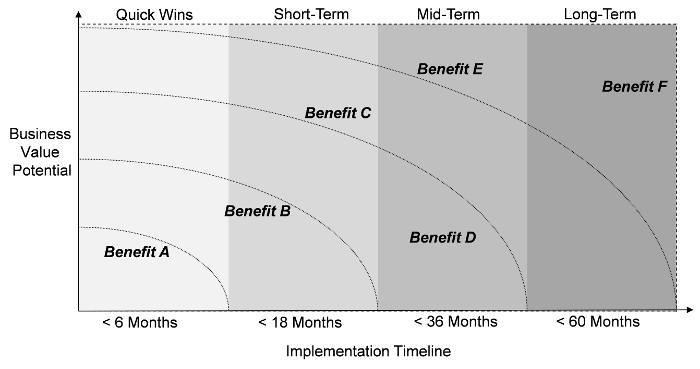 Our benefits realization approach makes these business benefits transparent to all stakeholders. 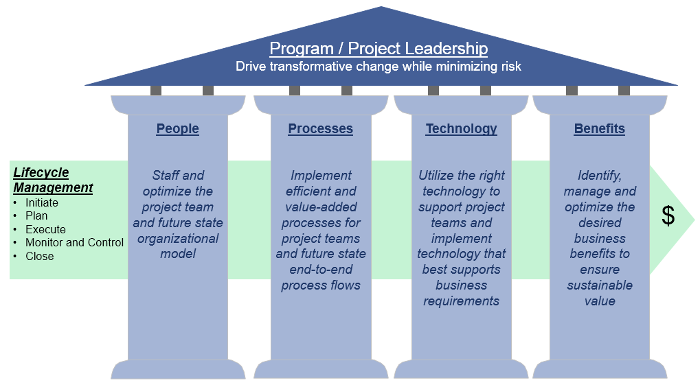 We employ this approach to all of our strategic change initiatives. Give us a call at 201-803-4653 to find out how we can help you with your most challenging projects or simply fill out our online form and we will be in touch with you.